Join us December 5, 2015, for an evening of fun and camaraderie with the Shenendehowa Nordic Club. Cost of the dinner $10 per person, $25 max per family and is free with the purchase of a $30 family membership to the club. The evening starts at 6:00 PM at the Shenendehowa Methodist Church with a spaghetti dinner, surprises and the first opportunity to purchase tickets for the Twelve Days of Christmas… a fun raffle with twelve chances to win some fantastic prizes like a desert for a family of four at Stewart’s Shops or a trail pass at your favorite Nordic ski resort. Convince your grandparents, cousins, and neighbors to join us for a preview of the Nordic ski season. Here’s another offer… just for fun. When I first moved to this area a local weather forecaster said that the average (or mean?) first six inch snow fall occurs on December 6 each year. I think it has moved a bit later in December. My challenge to YOU is to guess the first date on which we receive six inches of snow. That’s six inches of snow in my official CoCoRahs snow gauge. Winner will get a Stewart’s single scoop ice cream certificate. To enter the contest just e-mail me with your name and the date you guess or pass me a slip of paper with name and date. Entries will be accepted up to 10 PM on December 5, 2015. The record December snowfall for Albany was in December 1969… 57.5 inches. That was the average for the whole month. The following December 24, 1970, at about 6 AM the newly fallen snow was so deep I had trouble getting our Carman Ghia 5 blocks to St Peter’s Hospital maternity. Ask Barb Hamilton about the details! 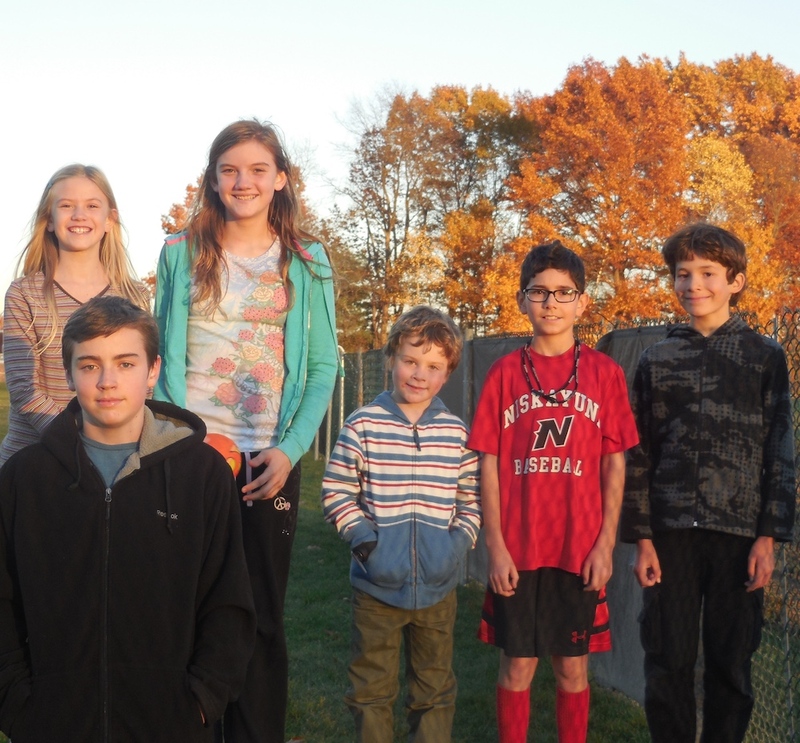 A refreshing start to the Shenendehowa Nordic Club season this your had a number of our youth out to enjoy “Indian Summer” weather this week. If you know a family or youth in the southern Saratoga County who would like to keep in shape, enjoy the snow, or just wants an excuse to get outside in the next few months, send them our way. This Bill Koch Youth Ski League club meets every Tuesday after school at Koda Middle School on the Shenendehowa Campus.